People who have been following Theme Park University for a while know that I am a fan of immersive theater. I am a fan of anything that pushes the art forward of breaking down the fourth wall. On the other hand, this also means that I have seen many shows that have been successful at this, including Blue Man Group, Sleep No More, Then She Fell and others, so I am well versed in the genre. Unfortunately, if you’ve seen the trailer, you’ve seen the show. Those 90 seconds is quite literally all the excitement the show has to offer and it takes just shy of two hours to get there. The roughly hour-and-45-minutes it takes to get to that snow (squares of paper) blowing in your face via high speed fan is painful. 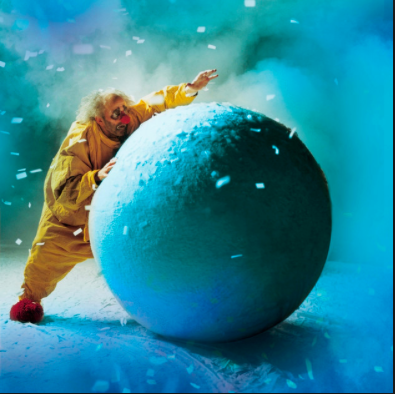 Clown-faced mimes come out and essentially stretch until they reach that wonderful moment where the snow comes out… followed by giant balls that bounce around the theater. 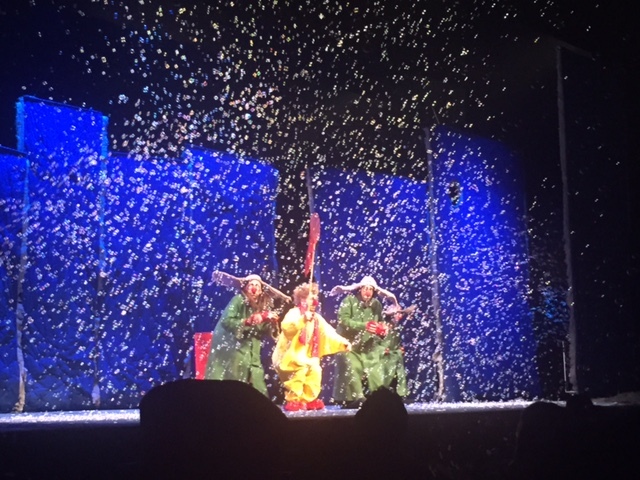 The theater sold around a third of the seats on the night of my performance and looking around, I saw around five people in my section who fell asleep during Slava’s Snow Show. I would have joined them, but I held out hope that there would be some sort of narrative, some sort of laugh, even a chuckle or even some beautiful set that would emerge from the stage. None of that happened. 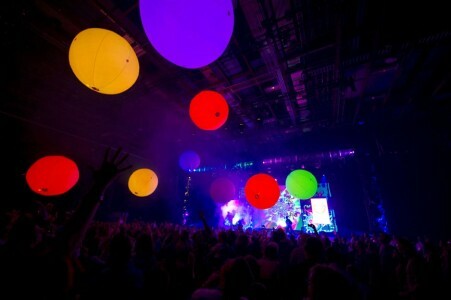 If you’re looking for a fun, fast-paced interactive show that is truly entertaining from start to finish, go see Blue Man Group. 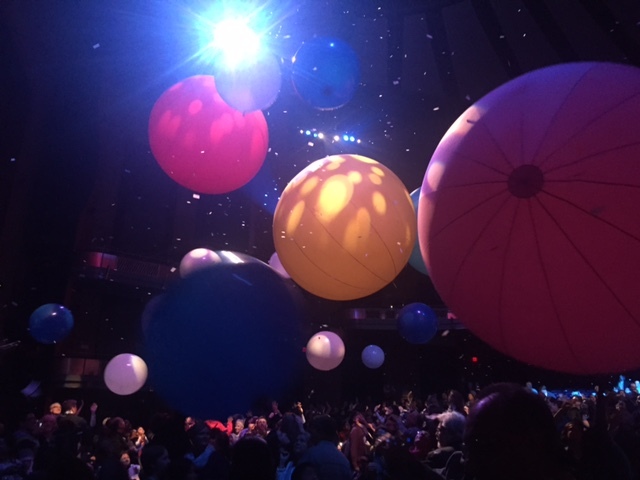 If you’re looking for an hour-and-45-minute nap followed by being covered in tiny pieces of paper, go see Slava’s Snow Show. Make sure to follow Theme Park University on Twitter and like our Facebook page! Doing any online shopping? Click on any of the Amazon links on this page and TPU gets a tiny portion of that sale and it costs you nothing extra! This entry was posted in Immersive Theater, Outside The Parks and tagged Blue Man Group, immersive theater, Slava's Snow Show, snow in theater. Bookmark the permalink. Trackbacks are closed, but you can post a comment.